Long, lean, mean and keen. The new Clockwork Evo bridges the gap between the Clockwork 120 and the Crush, firmly hitting a sweet spot for serious minded riders. While we would never say a Clockwork 120 was sedate, the Crush is an aggressive head-banger. The Clockwork Evo is the hardtail to bridge that gap – fast and furious. 10mm longer in the toptube and a degree slacker in the headangle than the Clockwork 120, the Clockwork Evo gives the cockpit reach and attitude of a fast serious trail bike. The new Evo geometry is also designed around a 130mm travel fork. 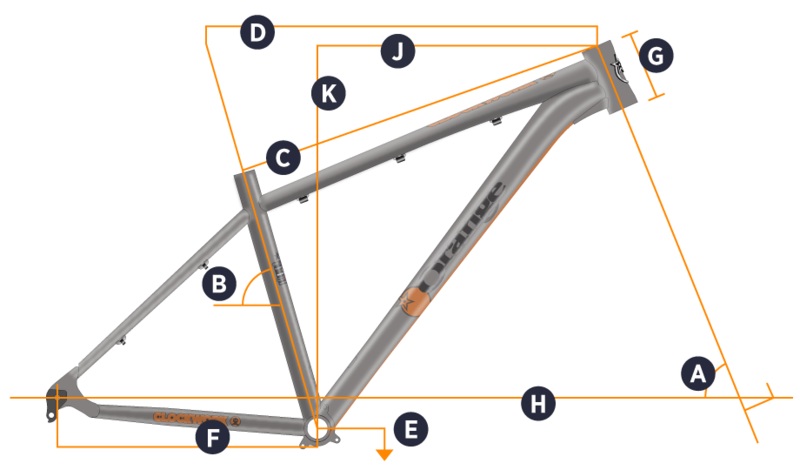 The frame features neat external routing that tucks the cables neatly under the top tube, while an internal route for the standard dropper post ensures looping hoses are out of the picture. A 12x142mm bolt-thru rear axle bolsters up the back end, keeping everything steady through the rough stuff. 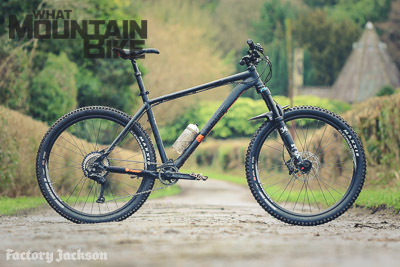 Trail centre hardtail, or out and out explorer, it’s up to you. But however you choose the ride the Clockwork Evo it will be a more than worthy trail buddy. Why the Clockwork Evo RS? A more aggressive stance than the Clockwrok 120, the Evo is a trail hardtail that delivers. Great geometry topped off with the RockShox Pike fork puts performance firmly at the top of its list. Hope Pro 4 (Black) + Mavic EN627 27.5"
Seat Tube 16" 17" 18" 20"